The International Air Transport Association (IATA) on Tuesday nearly halved its annual forecast for traffic growth in the air cargo market to 2 percent citing trade frictions, Brexit and anti-globalization rhetoric. That is lower than a previous estimate of 3.7 percent traffic growth issued in December and leaves airlines more dependent on passenger revenue for growth. “Developments in the political climate are not going in our favor,” IATA Director General Alexandre de Juniac said at an air cargo conference in Singapore. 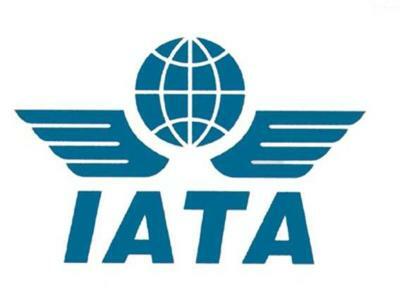 Weaker global economic activity and consumer confidence led to a 1.8 percent fall in global air freight traffic in January, marking the worst monthly performance in three years, IATA said last week. In 2018, air cargo traffic grew by 3.5 percent, which was well below the extraordinary 9.7 percent growth during a re-stocking cycle in 2017. Asian airlines have an outsized role in air freight, accounting for nearly 40 percent of the global market because the region is a manufacturing and e-commerce hub. IATA last week said air cargo demand in Asia fell by 3.6 percent in January due to weaker manufacturing conditions for exporters in the region, ongoing trade tensions and a slowing of the Chinese economy. Association of Asia Pacific Airlines Director General Andrew Herdman said e-commerce remained strong but slowing export orders had pushed down overall cargo demand. “The first quarter looks weak from a macro-economic outlook but as for the rest of the year it very much depends on whether these trade disputes drag on or whether there are some resolutions,” he told Reuters in an interview on Monday. Cathay Pacific Airways, Air China and Singapore Airlines are among the world’s top 10 cargo airlines. All three reported falling demand for international cargo during January. Other major Asian cargo carriers have yet to release January figures.